I’m always on the lookout for new brand stories and this one comes courtesy of my son Jack and Mark Mason’s book “Walk the lines, London Underground Overground”. Jack was reading Mark’s book and spotted a story I might like. Like it I did so I taken it and retold it accordingly…. Probably the most common ways for a brand to get its name are from either its founder or from the area from which it comes. However, sometimes history and the vagaries of mispronunciation and misspelling play a hand in adapting them, so today we have Vauxhall and not Falkes’ Home cars. Sir Falkes de Breauté is said to be from Norman parentage but he rose to be a high officer serving first King John and later King Henry III in the First Barons’ War. At various times he held the High Sheriffdoms of Cambridgeshire, Oxfordshire, Buckinghamshire, Northamptonshire and Bedfordshire and was given the Manorship of Luton. His heraldic sign was a griffin. When Prince Louis of France invaded in 1216, de Breauté was tasked with holding Oxford against the baronial forces. On 17 July he and the Earl of Chester sacked Worcester, which had allied itself with Louis. In reward John gave de Breauté the hand of Margaret the daughter of Warin Fitzgerald, the royal chamberlain. She was the widow of Baldwin de Revières, former heir to the Earl of Devon. With her hand in marriage he also gained the rights to an area just south of the Thames. There he built a home in which was called at various times Fawkes Hall, Falkes’ Hall, Foxhall and finally “Vauxhall”. Six hundred years later in 1857 Vauxhall Ironworks were founded. 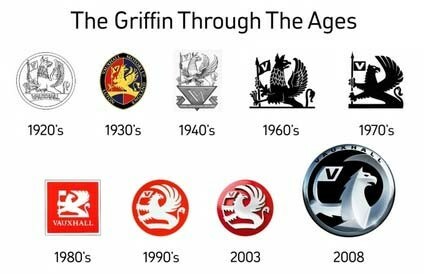 Nearly 50 years later, in 1903 they built the first Vauxhall car and shortly changed their name to the Vauxhall Motor Company and chose as their logo de Breauté’s griffin. By 1905, a couple of years later, the business had become so successful that it had to move. The site of the new factory was Luton. The griffin had returned home. A couple of weeks ago I put up a little post about Restaurant Story, I’ve just heard that it was awarded a Michelin star in the new guide published this week – is this a happy ending or just the start of a new chapter in its development? As the publication date for The Prisoner and the Penguin is approaching I was thinking back to the publication of my first book ‘Brandwatching’ and some of the stories and anecdotes I used in it. One in particular stood out in my memory so I looked it up again and re-wrote it in the style I would have written it if I was including it in The Prisoner. On May 25, 1961 President Kennedy delivered his “Special Message to the Congress on Urgent National Needs”. In it he expressed a concern that the United States was falling behind the Soviet Union in technology and prestige. He set the nation a challenge” of landing a man on the Moon and returning him safely to the Earth” before the decade was out. Just over eight years later, on July 16, 1969, a Saturn V rocket launched Apollo 11 from Kennedy Space Centre in Florida. On board were three astronauts – Neil Armstrong, Michael Collins and Edwin ‘Buzz’ Aldrin. Four days later the “Eagle” module landed successfully. Just after 02:30 (UTC) on July 21, Neil Armstrong opened the hatch and began his descent. 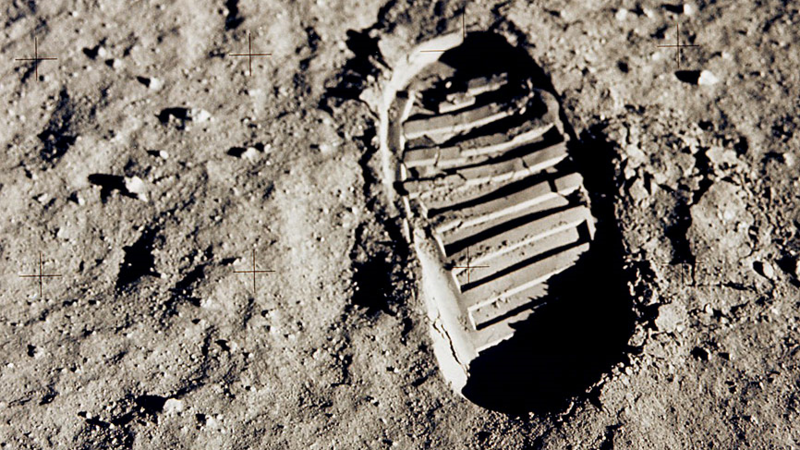 On stepping onto the surface he spoke the now historic words, “That’s one small step for (a) man, one giant leap for mankind”. The Command Module “Columbia” returned to Earth on July 24 and, after touching down (well splashing down), the astronauts began 21 days of quarantine. So it wasn’t until August 13 that there was a parade in their honour in New York. As they entered Times Square, the three astronauts were greeted by a flashing sign which read “Welcome home to Planet Earth, home of Coca Cola”. Apollo 11 had successfully completed its mission. President Kennedy’s objective had been accomplished. And Coca-Cola had successfully staked its claim to being the most famous brand on Planet Earth, and soon after started to receive applications for the first bottling franchises on the moon. Footnote: Armstrong claims to have said “That’s one small step for a man, one giant leap for mankind” when he first set foot on the lunar surface. The “a” is not clear in NASA recordings, but the audio and video links back to Earth were somewhat intermittent, partly because of storms near Parkes Observatory. More recent digital analysis of the tape by NASA revealed the “a” may have been spoken but obscured by static. It’s a classic agency or consultancy complaint; a client who doesn’t really know what they want but isn’t short of opinions about any ideas or prototypes you develop. A client who keeps saying (un)helpfully “Just give me something unique”. Walker was the joint managing director of Walkers Shortbread and had been approached by Shipton Mill who were based near Highgrove in Gloucestershire. They wanted him to develop something using organic flour and locally grown oats. “We weren’t very sure what they wanted. They weren’t very sure what they were looking for. 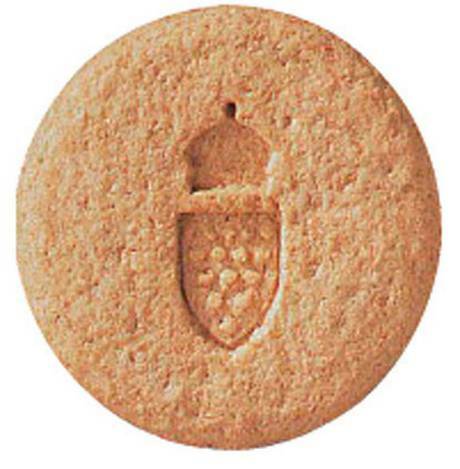 We started with a digestive type of biscuit, and an oatcake type of biscuit. We tried an oatflake sort of oatmeal cookie. We went round in circles, making every combination … they wanted something unique” he recalls. For ‘they’, read none other than HRH Prince Charles, heir to the British throne and a high profile advocate of organic foods, and of course owner of Highgrove. Not a client it is easy to say no to. In the end it took nearly 18 months and 100 different recipes before Jim Walker and his team found something everyone at Shipton Mill was happy with. He may not have been the easiest or most helpful of clients but, like many brands owners, Prince Charles knew what he wanted when he finally saw it (and ate it). Development began on producing it for market but even then Jim wasn’t sure how well the product would sell. Twenty one years later, the Prince of Wales hosted a reception at Clarence House to mark the ‘coming of age’ of his little oaten biscuit, now with sales of over 700 million across more than 30 countries. So in the end this was an idea that literally ‘took the biscuit’. Where every good storyteller should eat? 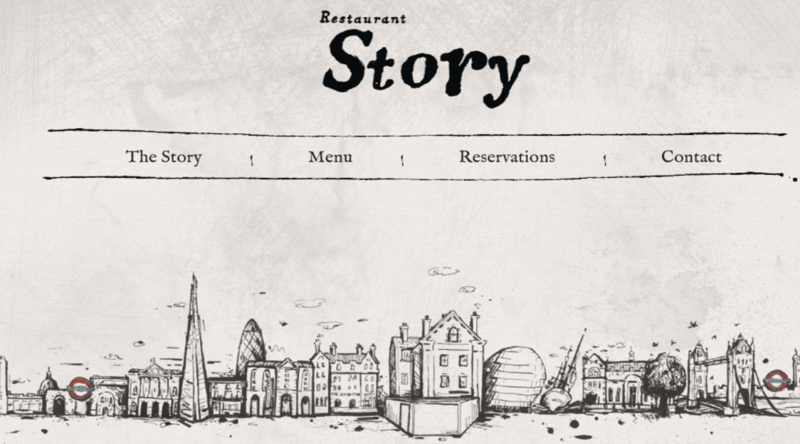 I heard about a new(ish) eaterie in Southwark called Restaurant Story. 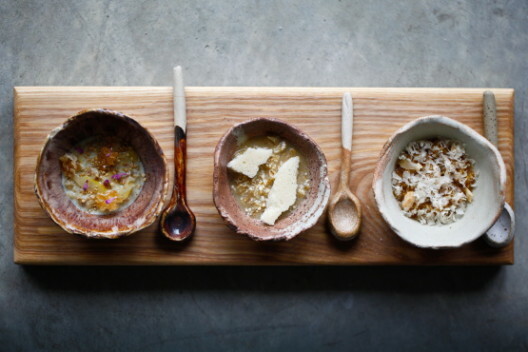 As the name suggests they aim to tell a story through their dishes – and with every dish. The menu offers the choice between 2 tasting menus – a 6 courses (‘chapters’?) option or a full 10 course tasting menu. Their websites pitches it as…. We have created a personal journey through food, which has been crafted and inspired by the journeys of others and ourselves. Our dream is to inspire people to take their own journeys – creating stories not just of food, but of everything that has played significance and holds a memory. We see food as our story books and want our guests to share this story, leaving their own stories with us along the way. Our dream is for all guests to leave a book at Story, which will remain there to evoke the inspiration in others that we hope our food will evoke in you. The sale of Lucozade and Ribena to Suntory got me thinking about the two brands again, and in particular just what a great story the re-positioning of Lucozade is. To “older” readers it is probably well-known, but to any younger readers who may have always grown up with Lucozade as an energy drink it may well not be so well known…which gives me an excuse to re-tell it now. “Glucozade” was first manufactured in 1927 by William Owen, a chemist from Newcastle who had experimented for years trying to provide a pleasant-tasting, easy-digestible source of energy for those who were sick with common illnesses, like colds or the flu. It initially became available throughout Britain for use in hospitals under the name Glucozade packaged in glass bottles and covered in cellophane. The name changed to Lucozade in 1929, and Beecham’s acquired the product in 1938. By the early 1950s, Lucozade now available to everyone was the source of half of the company’s profits. During the 1950s, 60s and 70s Lucozade used heavyweight national advertising support depicting how it ‘aids recovery’ and was the nicest part of being ill. One famous ad showed two mums discussing how it was “better” (quieter and easier) for them when their children were ill, but now that Lucozade had aided their recovery the children were back to the noisy, boisterous selves. As the 1980s arrived and as a result of increased advertising regulations and the desire to try and appeal to a broader audience, the brand was initial re-positioned as a drink to get you through “the ups and downs of the day”. The move wasn’t a great success and the brand went into decline. So it was in 1982 that the brand went through a second, and what was to become one of the most famous re-positioning of its time. They needed a new brand ‘spokesperson’ and their choice was the complete opposite of the traditional sick child. It was Olympic athlete (and soon to be gold medal winner and world record holder in the decathlon) Daley Thompson. 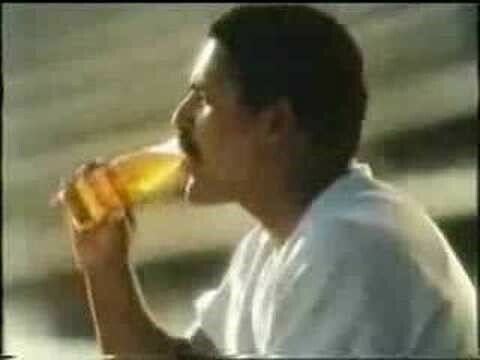 From inane, bland pop tunes the brand had previously used, the first ad to feature Daley Thompson was accompanied by a high energy song from heavy metal brand Iron Maiden. It showed Daley, a fit man in his prime, training hard and so needing and using Lucozade on what appeared to be a daily basis. In the era of new fitness regimes and the body beautiful (think Jane Fonda’s Workout 1982 and Arnold Schwarzenegger in Terminator 1984), it was a timely move and the brand quickly went back into growth. It has been one of the hottest weeks of what has been a glorious summer so naturally I’ve been thinking about Christmas. Among my responsibilities at The Value Engineers is marketing, and that means one of my tasks is helping develop a Christmas card. It is an annual and often thankless task. Not too surprisingly, Coca-Cola came to mind. 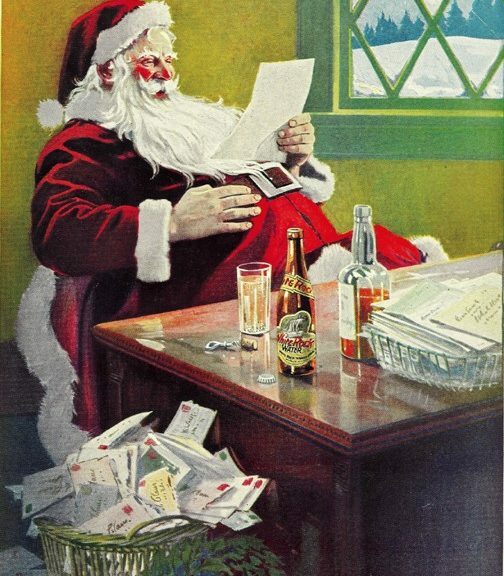 Coke has long been associated with the festive period, and in particular with the depiction of Santa as a jolly, white-bearded, old man dressed in a red and white outfit. Indeed many believe that Coke ‘invented’ this modern day depiction of Father Christmas as a ‘branded’ re-incarnation of earlier green coated figures. The first option would be to tell the true story of the origins of the jolly red Santa and reveal that Coca-Cola wasn’t even the first soft drinks brand to use a red and white dressed Santa in their advertising and that particular honour should be given to White Rock Mineral Waters. This even earlier ad for White Rock dates back to 1915. Another candidate would have to be the story of Haddon Sundblom who was the artist who painted the iconic Coke ad of 1931, and went on to do many of the subsequent ones too. At the moment I think Haddon’s tale – “The poodle, the salesman and the backwards belt” is the leading candidate but luckily there is a little time for some more research and some more thinking.